For thousands of years, members of California’s Wintun Tribes have been guided by a culture rich with an understanding of medicine, technology, food production and land stewardship. The towns and roads of today were the villages and trade routes of our past. Our land was healthy and our early communities thrived. The arrival of missionaries and European explorers forever altered the course of Native people in California. Many Wintun people were enslaved to serve the missions, while abuse and disease further dwindled our numbers. By the 1800s, many of our ancestors were purged of their home and hunting lands by opportunists driven by gold and greed. Northern California Native people were decimated by the Gold Rush and federal policies that legalized genocide. During this time the Yocha Dehe population declined dramatically and our ancestors were rendered nearly extinct. In the early 1900s, our Tribe was forcibly removed from our village by the US government and placed on a federally created rancheria—otherwise known as a reservation—in Rumsey, California. Stranded on barren, non-irrigatable land, they struggled to survive. 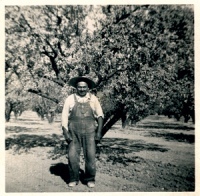 In 1940, our people gained a hard-won relocation to a small parcel of land further south in the Capay Valley, where they managed to cultivate small amounts of food. Without the opportunity to produce more than subsistence levels of crops, our ancestors, who had lived sustainably for thousands of years, became dependent on the US government for survival. Finally, in the late 1980s, the tide began to turn. Some ancestral lands were restored to our Tribe, providing a land base for housing and economic development. It was at this time that the State of California instituted the California Lottery and the federal government enacted the Indian Gaming Regulatory Act (IGRA). The United States Congress enactment of IGRA in particular provided a means to promote economic development and self-sufficiency with the explicit purpose of strengthening tribal self-governance. This offered the Tribe the opportunity to open Cache Creek Indian Bingo on part of our 188 acres of trust land. Initially, our Tribe knew little about gaming. We focused our resources on building the necessary foundation for our tribal government to manage assets generated by the bingo hall. Powered by hard work and determination, we developed our own management strategy and expanded the bingo hall into the world-class Cache Creek Casino Resort, eventually providing economic development and stability for our tribal members. The independence gained from the initial influx of gaming revenue gave the Tribe the wherewithal to reacquire some of our traditional lands, to invest in the future of our children through improved education and to provide philanthropic support for communities in need. In 2009, the Tribe legally changed our name from the Rumsey Band of Wintun Indians, as we were originally labeled by the federal government, to Yocha Dehe Wintun Nation, named for our homeland in our ancestral Patwin language. The name change represents an important mark in time for the people of Yocha Dehe. It connects our Tribe to our heritage and expresses our sense of pride and hope for the future.